If you’ve looked at the penalties for a DUI conviction in California, you know that some convicted offenders – and possibly all DWI offenders in the future – will be required to install an ignition interlock device or their vehicles. It’s a genuine inconvenience and an everyday reality for scores of Californians who have already been convicted of DWI. If you are arrested and charged with DWI in Orange County, it’s imperative to have quality legal representation at once. Contact an experienced Orange County DWI lawyer as soon as possible after any DUI arrest. What exactly is an ignition interlock device (or “IID”)? It’s a small device that is wired to your car’s ignition. Once it is installed, your car won’t start until you blow into the IID. If the device determines that your blood alcohol content (BAC) level is over the legal limit, it won’t let you start your car. If you are under the limit and your car starts, the device will require periodic, additional breath samples to make sure that you’re still sober enough to continue driving. Thanks to a 2010 California law, anyone convicted of DWI in Sacramento, Los Angeles, Alameda, or Tulare County is required to use an ignition interlock device. In other jurisdictions, a convicted DWI offender may be ordered to use an IID in any case where a judge believes it is appropriate. This year, State Senator Jerry Hill is sponsoring legislation that would require all California drivers convicted of DUI to install IIDs in their vehicles. If you are convicted of DUI, and you are ordered to install an IID in your vehicle, plan to spend about $100 on the installation and a few dollars a month for the rental and maintenance fee. An IID is only a small piece of equipment, but it can be a huge and costly inconvenience. 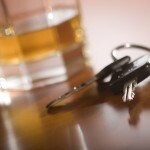 If you are accused of DUI in Orange County, get the legal help you need immediately. Fight the charge with the help of an experienced Orange County DWI lawyer, and don’t wait to make the call. 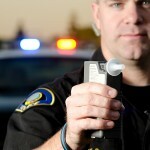 A Breath Test Every Time You Drive? A Breathalyzer In Every Car?